These products are loved by reviewers and ready to organize the heck out of your home! 1. A set of drawer insert dividers so you can find you favorite sweaters, socks, and underwear no problem every morning. Promising review: "I will never be a person that folds underwear. It's never going to happen. That photo that comes with this product? Not me. But a simple tool like this turned out to be what it takes just to know where things are. Left. Center. Middle. Any organizer made of cloth was out. I wanted something rigid but adjustable. 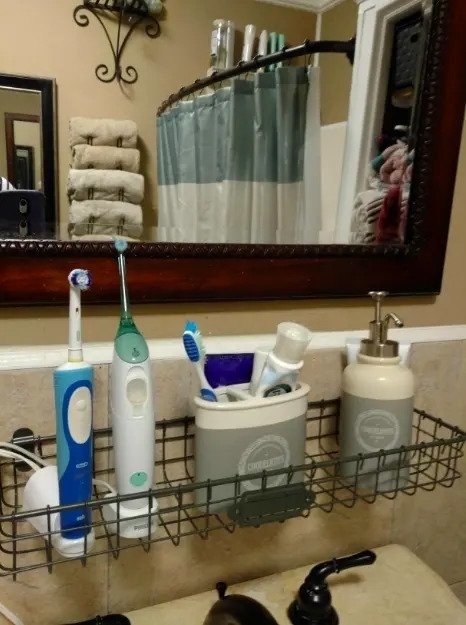 If an organizer has soft sides, it's going to end up underneath the things it's supposed to be separating. These fit firmly where I put them and there are no corners to snag clothing or hurt your hand on when you reach into the drawer. Well engineered product. I created three sections to my large top dresser drawer by adding the partitions front to back. I am so pleased with the difference that I am ordering two more sets so I can do my other drawers also. 2. A set of six shoe space savers to make some room in the closet; and justify buying another pair of shoes because now you have the space for them! 3. 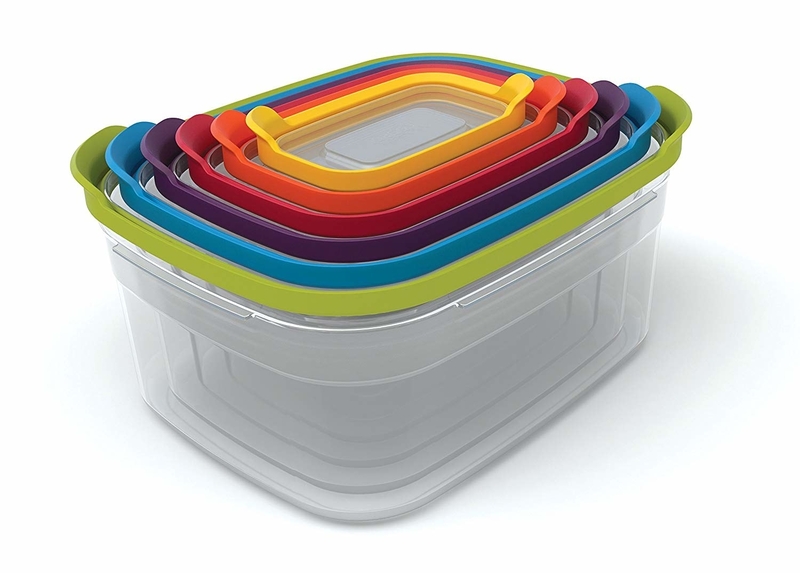 A set of airtight food storage containers that'll open with a satisfying pop and keep all the pantry goods in ~clear~ order. 4. A powerful and magical makeup bag reviewers swear by — it holds a ton of makeup, lays everything out in front of you, and collapses down with strings when it's time to go. 5. 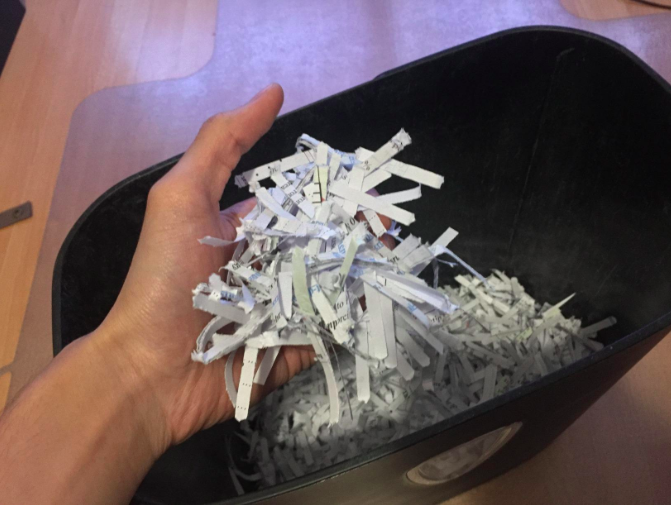 A handy paper shredder for anyone who needs to shred up the junk mail before it even makes it into the junk drawer. Bye! 6. A set of magnetic spice jars as pretty as they are useful. All of your guests will want to know where you got these. 7. 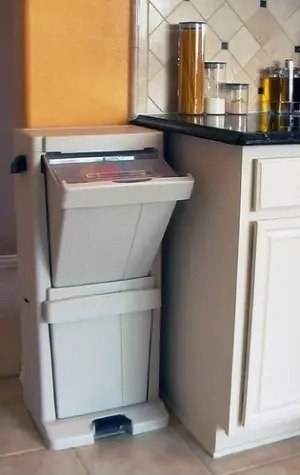 A double laundry hamper with a lid so you can organize clean and dirty clothes to your heart's content, and minimize trips to the laundry room. 8. A desktop stand riser with drawers to maximize storage options for your keyboard, mouse, notepads, and other desk necessities. 9. A cascading wall organizer perfect for anyone who has a need to order their files into an organized waterfall, without taking up the space of an entire filing cabinet. 10. 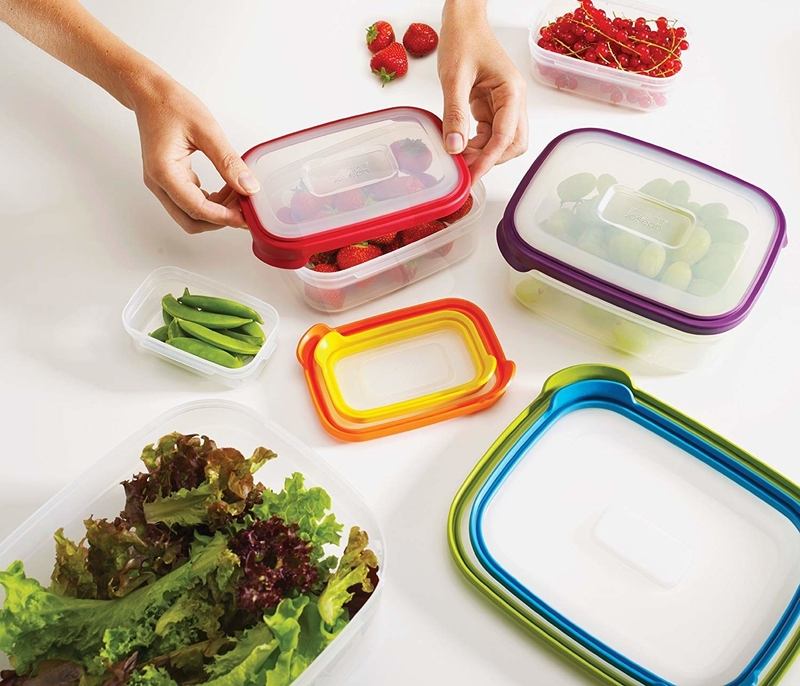 A set of 12 color-coded food storage containers that are stackable and super easy to pair with the right lid — finally! 11. 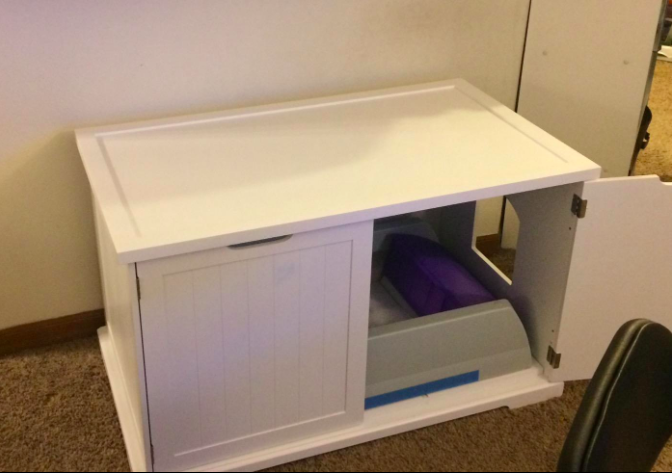 A linen storage basket you'll use to organize the nursery, out-of-season clothes, toys in the kid's room, and more. 12. An over-the-cabinet-door organizer who shall hold clunky cutting boards and muffin tins so they can stop falling all over the place in the cupboards. 13. 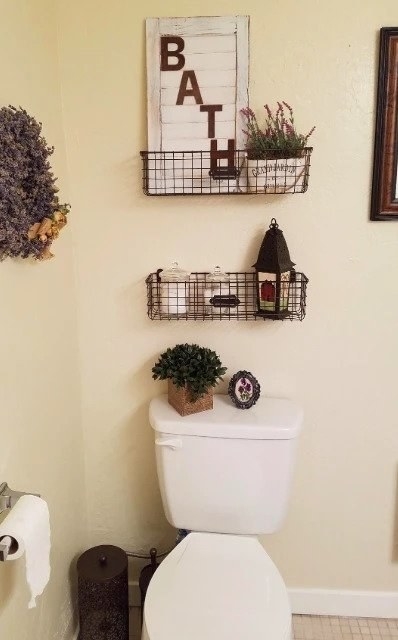 An easy-to-install set of baskets for anyone who is tired of knocking their entire skincare routine into the bathroom sink every morning and needs an accessible storage solution. 14. A set of magnetic stackable measuring spoons so you can measure it up in an orderly fashion. They also have extra large measurement labels so you don't mix up the 1/2 and 1/4 Tbsp. again! 15. 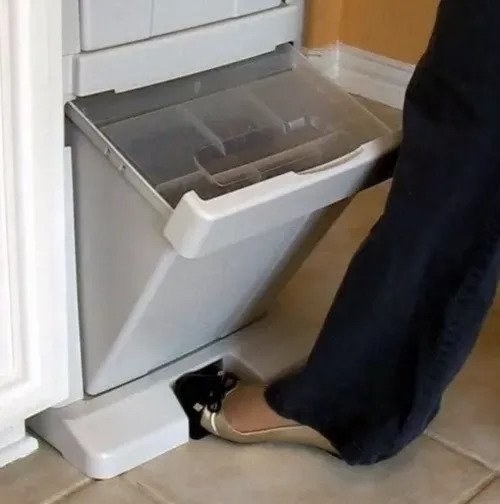 A pet food storage tower featuring a handy foot pedal that'll really make you question why every storage device in your home doesn't have a foot pedal. 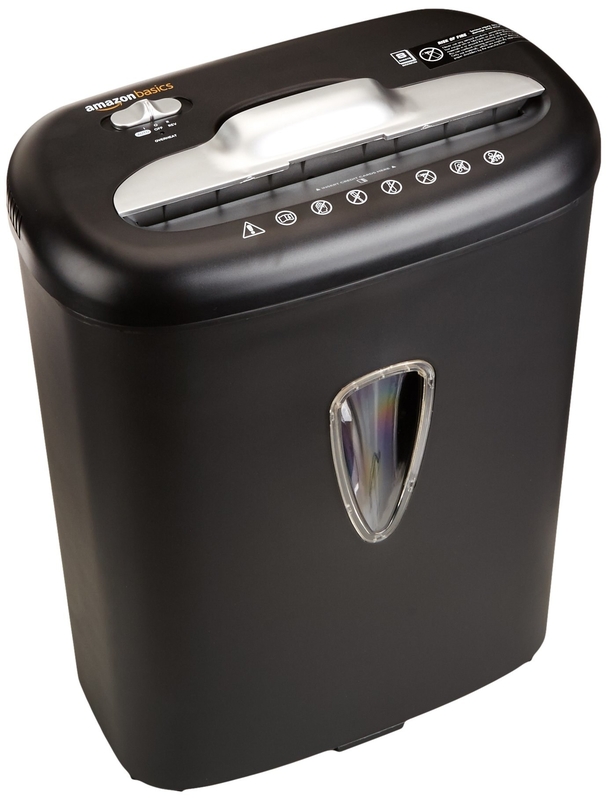 Plus, it has a snap-lock lid to keep odor to a minimum. Each bin holds up to eight pounds of dry pet food. It also includes a 1.5 cup food scoop. 16. And a did you feed the dog device suitable for anyone with a manipulative pupper on their hands, or a household full of people who may or may not have fed the dog at any given time! Bye chaos! 17. A sturdy kitchen cart ready to bring peace and order to your home. More counter space = a win for everyone. 18. A happy mat silicone plate that'll stay in place, keep your kid's food neat and separated, and reduce messes from tipped bowls. This mat is 100% food grade silicone; BPA-, BPS-, PVC-, lead- and phthalate-free. 19. A weekly meal planning pad so you can plan ahead, make shopping lists, and keep track of what's already in the fridge with ease. 20. An extra large over-the-sink-colander with handles that shall also collapse down and fold when not in use; and it's dishwasher-safe! Washing veggies and straining pasta just got way easier. 21. 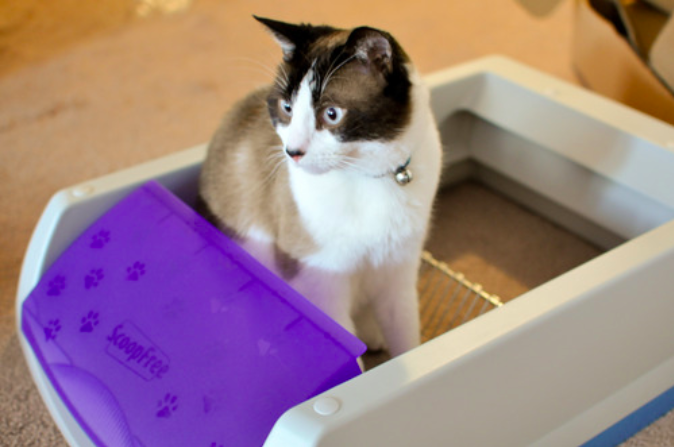 A self-cleaning litter box and housing unit (sold separately) reviewers swear by to turn the smelly, messy litter box into a self-cleaning, tidy space your cats will still adore. 22. A reusable, food-safe bag you can use for so many things — storing leftovers, marinades, Sous vide — and they are freezer-, dishwasher-, and microwave-safe. This bag is BPA-, PVC-, and latex-free. 23. 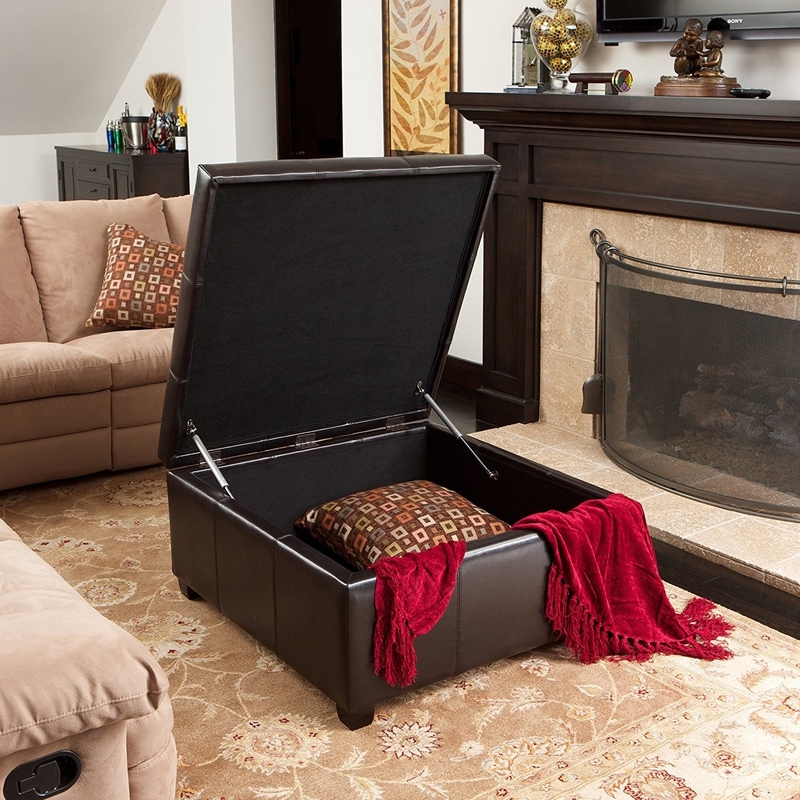 A large storage ottoman that'll open effortlessly and store tons of throw blankets and pillows. 24. An interlocking drawer organizer to give the junk drawer a total head-to-toe makeover. 25. And a cable box organizer for anyone who is tired of dealing with pesky cables and in need of a satisfying solution.